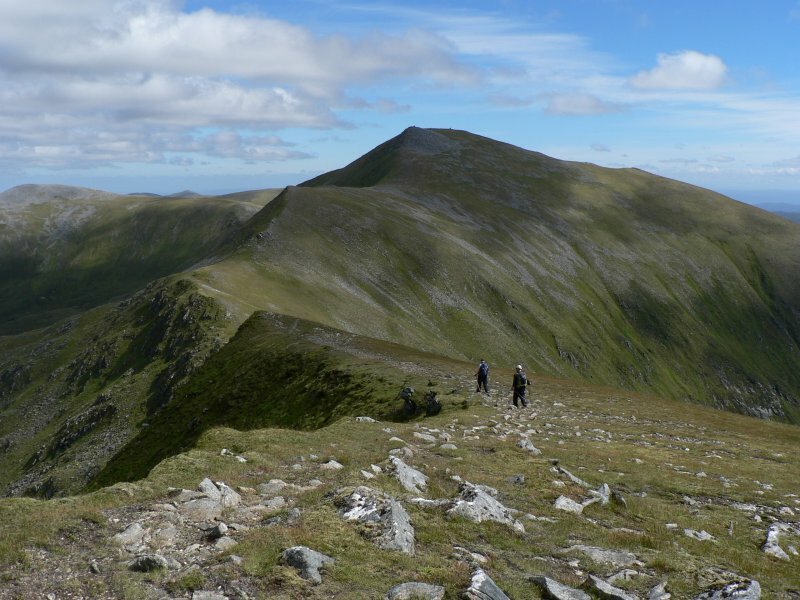 Sgurr a' Choire Ghlais, which is one of three Munros enclosing Coire Mhuillidh, approximates to a square pyramid with the summit located at the convergence of four ridges. 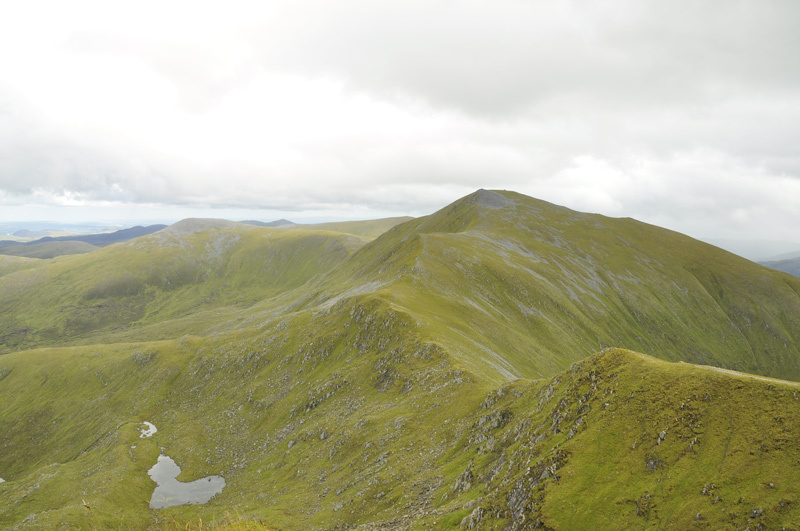 Its two northern ridges, ENE and WNW connect to Carn nan Gobhar and the more distant Sgurr Fuar-thuill (via Creag Ghorm a' Bhealaich) respectively. 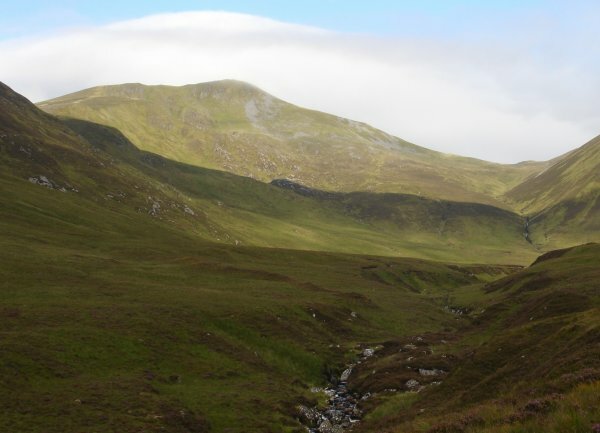 There is a broad SW ridge and a longer narrower SE leading down to Meall a' Gheur-fheadain (756m) from which an ascent from the path in Coire Mhuillidh can be made. Higher slopes are easy to moderate. 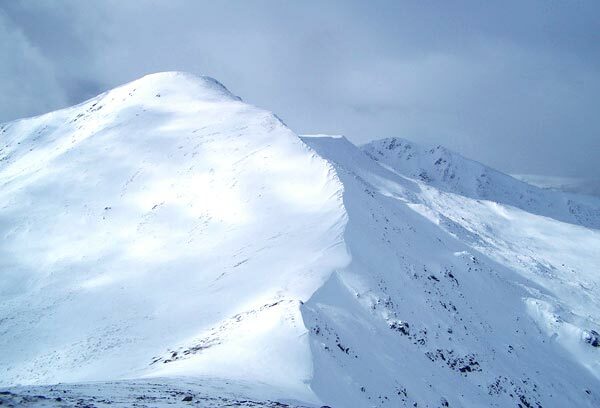 North east ridge Sgurr a'Choire Ghlais under snow, March 2004. Sgurr a' Choire Ghlais from the corrie in the south. The summary information of one or more ascent routes that include Sgurr a' Choire Ghlais. 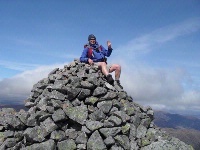 Large summit cairn of Sgurr a` Choire Ghlais with Sgurr Fhuar-thuill in distance. 19/08/2012. Our 3rd one of the day. 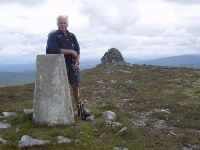 James at trig of Sgurr a` Choire Ghlais. 19/08/2012. 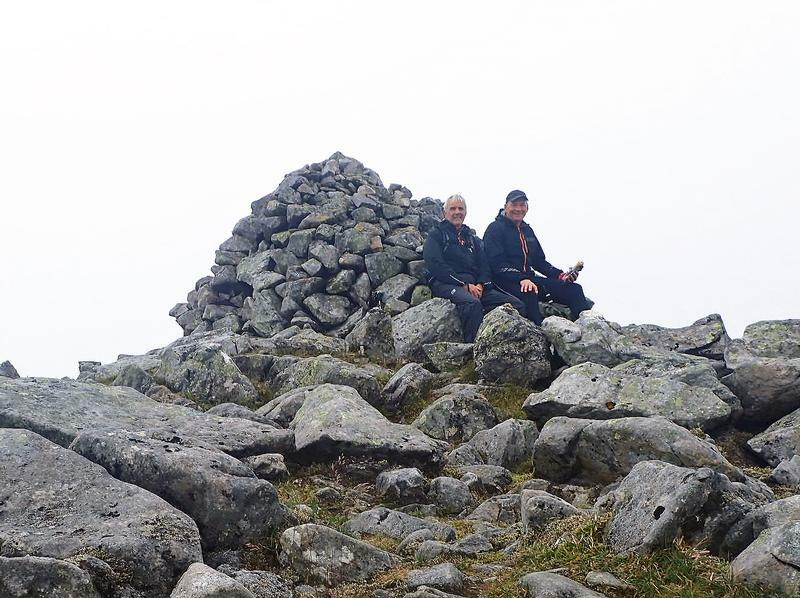 3rd Munro today. 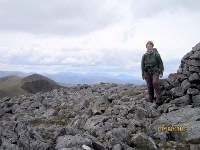 Post a few words about Sgurr a' Choire Ghlais or read what others have had to say.